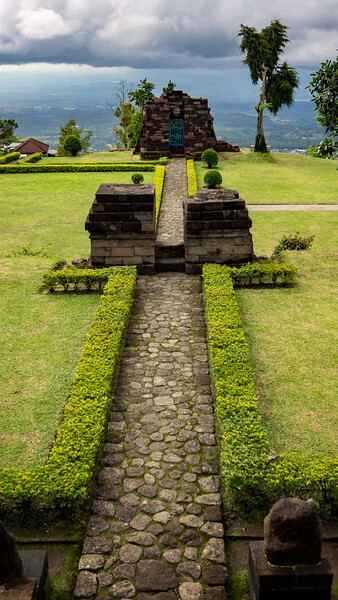 The entrance of Candi Sukuh has an amazing view. It is so quiet here. The courtyard looks like a green carpet rolled out over the land. Very peaceful.